Maine’s independent senator is getting behind a push to increase the federal government’s funding for research to create a universal flu vaccine. 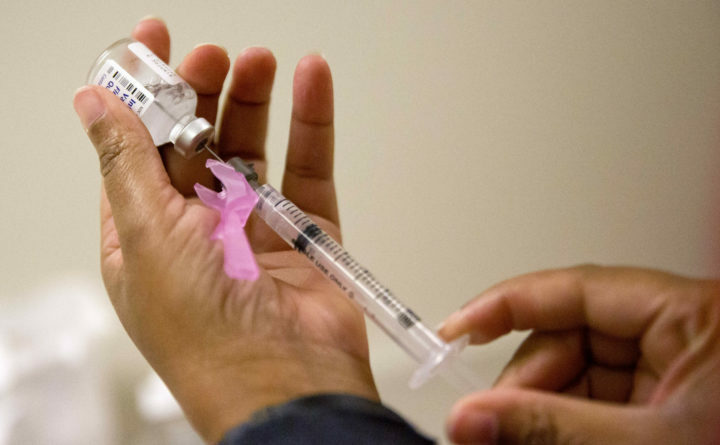 Sen. Angus King said he’s co-sponsoring the Flu Vaccine Act, which is aimed at creating flu vaccines that offer more effective and long-lasting protection against influenza. King said the proposal calls for an investment of $1 billion over five years for the National Institutes of Health. The funding would be a significant bump from current levels. King said Congress has dedicated $100 million to $140 million for fiscal years 2018 and 2019 for universal flu vaccine research. King has also joined other senators in asking the National Institute of Allergy and Infectious Diseases for an update on research initiatives about a universal flu vaccine.